Science Minister Sam Gyimah saw the images from the NovaSAR-1, the first Synthetic Aperture Radar (SAR) satellite made entirely in the UK, during a visit to its makers, Surrey Satellite Technology Ltd (SSTL). SARtechnology can see through clouds and image the Earth 24 hours a day. Images can be used to detect oil spills and suspicious shipping activity, and monitor deforestation. 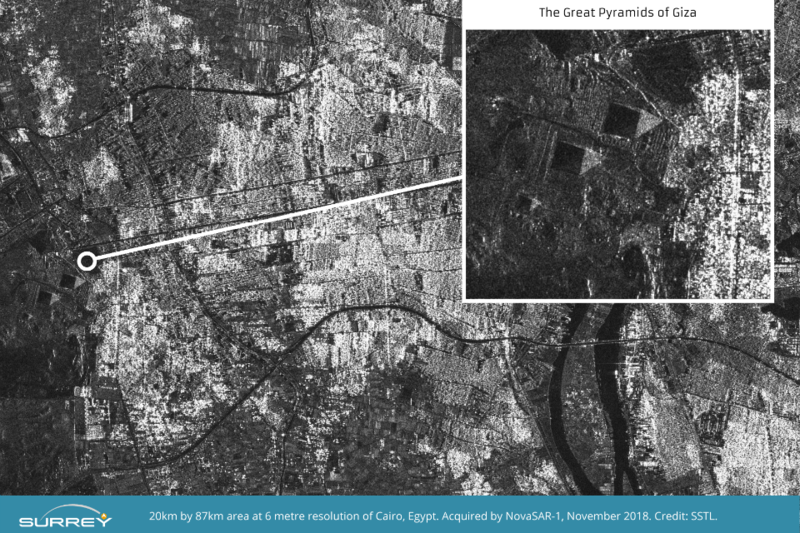 The images released today show Cairo and Sydney Harbour. 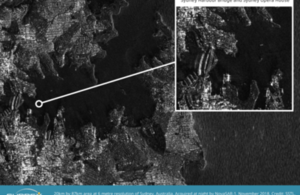 Cropped images taken from the original picture of Sydney Harbour include Sydney Opera House, Bondi beach and a close-up image shows small boats moored in the natural harbour at Church Point, north of Sydney in a demonstration of the usefulness of SARfor detecting vessels of different sizes and types, particularly at night or through cloud cover. The quality of the SARimages we are downloading validate the capabilities of NovaSAR’s innovative low cost S-Band SARplatform and demonstrate successful delivery of valuable data for maritime, agricultural, forestry, ice-monitoring and disaster monitoring applications. We have worked closely with the SARexperts at Airbus in Portsmouth to develop NovaSAR-1 and the whole team is delighted with these first results – the outcome of space engineering expertise, ingenuity and collaboration. I would like to thank the UK Space Agency for their support and we look forward to starting service delivery in the near future to our mission partners. NovaSAR-1 has 3 imaging modes that create images with higher definition for precision applications including monitoring disasters and deforestation, and it also has a maritime mode and AISreceiver. NovaSAR-1 was entirely made in Britain, being designed and manufactured by SSTL, with an SARpayload developed by Airbus Defence and Space in Portsmouth and an Automatic Identification Receiver supplied by Honeywell Aerospace. NovaSAR-1 is operated in orbit from SSTL’s Spacecraft Operations Centre in Guildford UK.